Pinpoint, City of Banyule Art in Public Spaces 2016. Permanent Marker on Perspex, 2016. Pen on Paper, 18cm x 22cm, 2016 (SOLD). Pen on Paper, 21cm x 32cm, 2016 (SOLD). Pen on Paper, 19cm x 25cm, 2016 (SOLD). Pen on Paper, 18cm x 22cm, selected in the Wyndham Art Prize 2016 (SOLD). Pen on Paper, 18cm x 22cm, selected in the 39th Alice Prize 2016 (SOLD). My artwork, ‘Altered States’ was judged best work in the open category as part of MoreArt 2015. 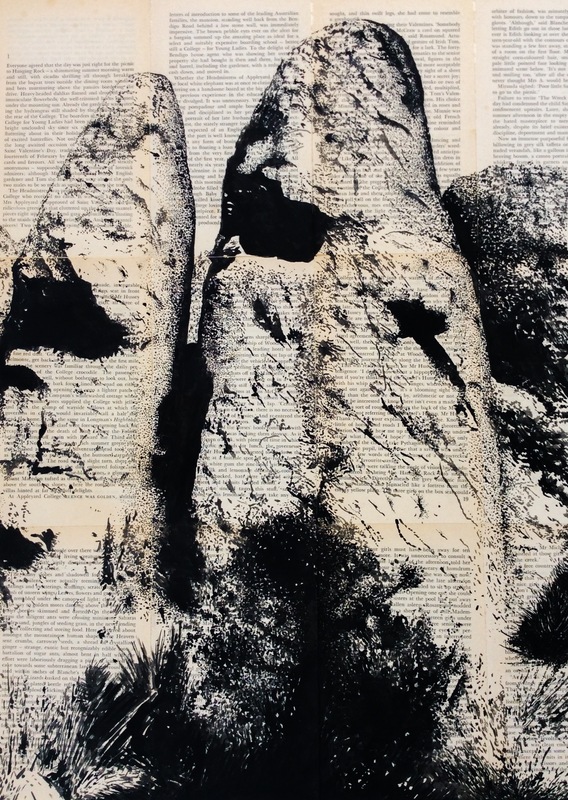 Ink on Book Pages (Picnic at Hanging Rock), 2015 (SOLD).